Shark Tooth Necklace | BUDK.com - Knives & Swords At The Lowest Prices! 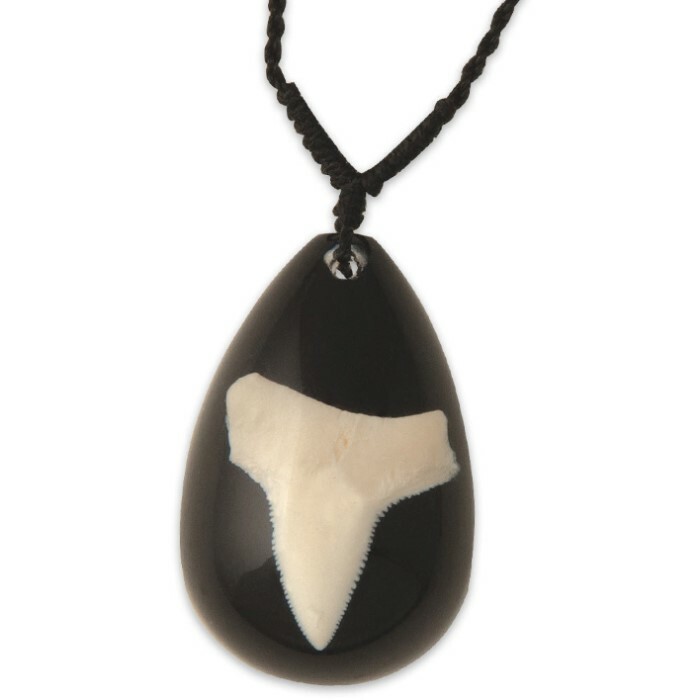 This shark's tooth necklace features a real shark's tooth sealed in black Lucite on a black nylon cord. The dome-shaped pendant measures 1 3/8”. The length of the cord is adjustable to 26” long. This necklace is perfect for both females and males of various ages.